Most of you who visit this site are on-board with the notion that the Torah is still in effect and is applicable to believers today. Others of you are testing whether what is written here matches your understanding of the Bible or doctrines of the church. What does the Bible say about life? What choices are we given? Adam and Eve were placed in the Garden of Eden. They were given a choice between the Tree of Life and the Tree of Good and Evil. According to my studies, the identity of the Tree of Life is easily understood to be the Torah of YHVH. In Proverbs we see a description of the Torah. Pro 3:2 For length of days, and years of life, And peace, will they add to thee. Deu_6:25 And it shall be righteousness unto us, if we observe to do all this commandment before Jehovah our God, as he hath commanded us. The simple explanation is that Adam and Eve were given a life or death choice. They had a choice between being obedient and partaking only from YHVH’s Tree of Life (Torah/Instructions) or to decide for themselves that they could be the arbiter of what is ‘good’ or ‘evil.’ As we have learned, death came along with that choice. Everyone seems to forget that the ‘other’ tree was one that had both good and evil. What made it different than the Tree of Life? The difference is between obedience and rebellion. Knowing that YHVH’s instructions are ways of life and righteousness or thinking that we can figure these things out for ourselves. How is that ‘we know better than YHVH’ thing working out for you? WHAT ACT OF MEN EVEN CONFOUNDED YHVH? We’ve continued to decide for ourselves what is good or evil. We have even managed to shock our Creator by our decisions! One of the things we did was something that our Father described as wholly detestable, worthy of death and so twisted it never even occurred to Him we would do such a thing! Many today seem to think that we are so advanced in our thinking that we need not examine the pagan practices of the past. We have moved beyond that, we say. We don’t worship idols! We go to church and lead a moral life! We don’t believe in superstition! We don’t believe in magic, nor do we call out to pagan gods! We don’t sacrifice our children to false gods!! WHOSE INNOCENCE SHOULD WE PROTECT? When I traveled to Israel, I saw the round altars that were constructed where child sacrifices were performed. We visited a ‘Tammuz cave’ where infants were burned to pagan gods in the name of prosperity and fertility. It all seemed horrifying and yet removed from our ‘civilized’ society. How could people do such a heinous thing? Why did they think that the taking of innocent life would appease their pagan gods? What was it that the death of infants was supposed to achieve? And didn’t YHVH say on two occasions that the idea of child sacrifice had never even entered His mind?! Jer 32:34 But they set their abominations in the house which is called by my name, to defile it. Aren’t we called a ‘Christian’ nation? “In 1921 the largest cemetery of sacrificed infants in the ancient Near East was discovered at Carthage. It is well established that this rite of child sacrifice originated in Phoenicia, ancient Israel’s northern neighbor, and was brought to Carthage by its Phoenician colonizers. Hundreds of burial urns filled with the cremated bones of infants, mostly newborns but even some children up to age six years old, as well as animals have been uncovered at Carthage. Several pagan deities are associated with these horrible practices. Among them: Molech, Chemosh, Asteroth and Ba’al. Lev 18:21 And thou shalt not give any of thy seed to make them pass through the fire to Molech; neither shalt thou profane the name of thy God: I am Jehovah. YHVH was clear about His abhorrence of child sacrifice. He calls it an abomination! Deu 12:30 take heed to thyself that thou be not ensnared to follow them … and that thou inquire not after their gods, saying, How do these nations serve their gods? even so will I do likewise. Deu 12:31 Thou shalt not do so unto Jehovah thy God: for EVERY ABOMINATION TO JEHOVAH, which he hateth, have they done unto their gods; for even their sons and their daughters do they burn in the fire to their gods. I don’t know how much more emphatic YHVH could be, yet we see the Kings of Israel following after these practices! 1Ki 11:6 And Solomon did that which was evil in the sight of Jehovah, and went not fully after Jehovah, as did David his father. 1Ki 11:7 Then did Solomon build a high place for Chemosh the abomination of Moab, in the mount that is before Jerusalem, and for Molech the abomination of the children of Ammon. 2Ki_16:3 But he walked in the way of the kings of Israel, yea, and made his son to pass through the fire, according to the abominations of the nations, whom Jehovah cast out from before the children of Israel. WHAT DOES TORAH SAY ABOUT THIS? Lev 20:2 Moreover, thou shalt say to the children of Israel, Whosoever he be of the children of Israel, or of the strangers that sojourn in Israel, that giveth of his seed unto Molech; he shall surely be put to death: the people of the land shall stone him with stones. Lev 20:3 I also will set my face against that man, and will cut him off from among his people; because he hath given of his seed unto Molech, to defile my sanctuary, and to profane my holy name. Lev 20:5 then I will set my face against that man, and against his family, and will cut him off, and all that play the harlot after him, to play the harlot with Molech, from among their people. YHVH says that killing innocents is worthy of death! Could YHVH be more clear? He sees this as wholly detestable, worthy of death, and not to be tolerated or excused! But, we don’t do this today! There aren’t any altars where children are passed through the fire to Molech or any other god! I submit that only the manner of child sacrifice has changed. It is no longer a public spectacle, but is conducted in private. The reasons are still the same. The death of innocent life is still acceptable to insure a ‘care-free’ and ‘bountiful’ future. The child will not be a ‘burden’ but is sacrificed now for a more acceptable time. It appeases our gods of ‘freedom,’ ‘free-love’ and ‘selfishness.’ It sets us free from responsibility and gives us the power over life and death…as if anything we have done actually created the life inside our womb! Abortions are mostly out of the public eye. I have been vocal that we do not protest the actions because it is done in secret. We don’t protest because it is between a woman and her abortionist. It is a sin outside of the public square. It’s just done by individuals in secret. Out of sight, and therefore tolerated. I hardly know how to respond to this. I am having a hard time coming to grips with the statement, ‘I love how positive it is.’ Positive! For who? There seems to be a total disconnect here, and I am appalled by the notion that the loss of life celebrated as ‘cool’ by this woman contributes something positive to her or to our society. In the most profound terms, this video, that celebrates the death of an unwanted child, should be a huge wake-up call to all people of faith. How common and acceptable is the spilling of innocent blood upon our land? 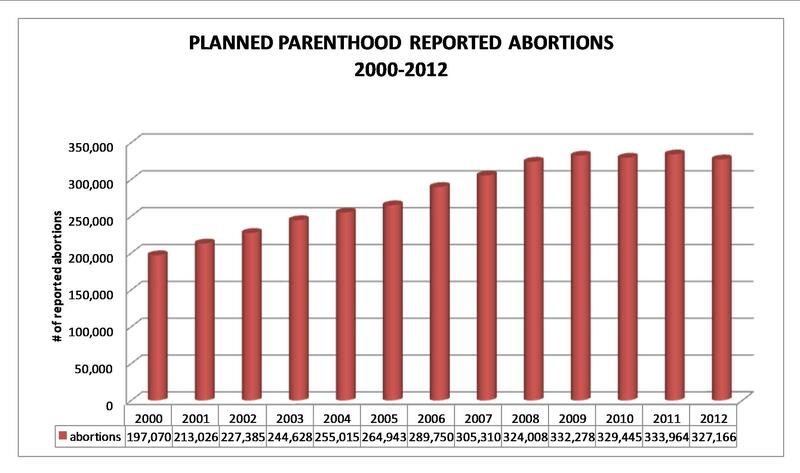 Since the passage of Roe V Wade there have been over 56 million abortions in the United States alone. Our Father was upset when Cain killed his brother Abel in the first murder! He said the blood of his brother was crying out! Do we really believe that the loss of 56 million human beings is hidden from our Creator? How can we believe it is not a stain and shame upon our nation? YHVH handed Moses all of the instructions that were the keys to blessings and cursings. Blessings for those who chose to adhere to His instructions, and curses for those who abandon His Torah. I would recommend you read the book of Deuteronomy and take in the blessings and the cursings that are promised by YHVH for those who choose Him as their Lord and Savior. He gives us the instructions and he tells us the consequences that are attached to breaking those words. Deu_30:19 “I call heaven and earth to testify against you today! I’ve set life and death before you today: both blessings and curses. Choose life, that it may be well with you—you and your children. Our Father gave us these instructions and called upon heaven and earth as the two witnesses to His Words. Yeshua repeated these words in three accounts from the New Testament. BUT, THIS ISN’T CHILD SACRIFICE! This was all related to Temple Prostitutes and cults! In Leviticus the listing of child sacrifice is found among other sexual sins. According to the article by Dr. White (sited above) these were all sins that contributed to the breakdown of the family unit. “Old Testament scholar Moshe Weinfeld links cultic prostitution with child sacrifice in Isaiah and Ezekiel saying, “The children born of cultic prostitution associated with Molech were presumably delivered to the idolatrous priests, even as the offspring of a regular marriage may have been handed over to Molech.” Given that some of the children offered to Molech were conceived illegitimately during adulterous/prostituting affairs, it seems probable THAT CHILD SACRIFICE OFFERED A CONVENIENT WAY TO DISPOSE OF THE CONSEQUENCES OF THESE ABERRANT SEXUAL PRACTICES. WHAT IS THE RESULT TO OUR SOCIETY? It is undeniable that since the advent of the sexual revolution, abortion-on-demand and the pill, the breakdown of the family unit has sky-rocketed! Can we be so blind as to not see a correlation between these societal changes? 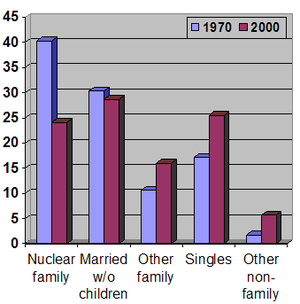 In the United States, between 1980 and 2007, the percentage of unwed mothers rose from 18% to 40% in just 27 years. It is clear that by our refusal to be guided by YHVH’s Torah we see the breakdown of the family unit, an increase in out-of-wedlock births, an increase in abortions, and a general sense of ‘anything goes.’ No one can be our judge! WHAT DOES HE SAY ABOUT LIFE? What if we were to consider the following verse? It is an echo of the Garden of Eden. Can you see the two trees? Two Choices to make? If we would just take this at face value, how could we conclude that the choice of life could be anything other than ‘good?’ If we understand that all good things come from YHVH, and that He it is that gives life, there must be a good purpose for that gift of life. Can we even comprehend what might have been had millions of lives not been ended before they were born? My understanding of ‘good’ and ‘evil’ is that ‘good’ is something that is functioning according to His purpose, and ‘evil’ is contrary to His design. Is there anything we can do in order to knit together a life inside our womb? Isn’t it the gift and miracle of YHVH? Wouldn’t it be evil to destroy what he has begun? When you come right down to it, we have a schizophrenic society! We uphold and support abortion, yet condemn anyone who murders a pregnant woman guilty of double-homicide! Recently, Doctor Gosnell was sentenced for killing babies that survived attempted abortions in his clinic! How can we find something legal when the death is performed inside the womb, and murder when the child is outside of the womb? What? This makes no sense! We turn a blind eye to late-term abortions, yet celebrate when a premature infant is saved from certain death because of the advances made in medical science! Twenty-One Weeks…that is only a little over 5 months since conception! A miracle! But not all that unusual anymore! And we celebrate the preservation of what in other circumstances would just be an ‘unwanted’ pregnancy! Isn’t it strange how the news cycles will condemn as monsters mothers who kill their kids but cannot feel the same sense of outrage for a woman who would terminate a pregnancy? We wonder how a ‘mother’ could kill her child, but fail to understand that this act is separated by an arbitrary scale of survivability! How late is too late? When does a ‘fetus’ become a child? Studies show that at a mere 18 days after conception there is a beating heart! At the moment of conception the child receives all of the DNA that is needed to form into a complete human being! The developing child is the product of genetic material provided by both the male and the female, making the new embryonic human unique, and certainly not a ‘blob of cells’ or ‘part of the mother.’ This miracle of conception is a separate entity, and should be afforded the fundamental rights of life, liberty and the pursuit of happiness we have come to accept in the United States. We used to understand that these are inalienable rights provided by our Creator! Arguably, the safest place for a child should be in the womb, but it is not! This is not due to YHVH’s design, but man’s decision to circumvent what has been set in motion by YHVH. In effect, we are playing God when we decide who will live and who will die, even before they are given a chance! We make a choice between life and death, even as society says it is a choice between motherhood and freedom. If we couch it in acceptable terms, does that make it more palatable? Again, here we come back to the notion that only a wanted pregnancy has any value. But what does the Bible say? Not long ago the news was focused on the death of a toddler, and her mother sat on trial for her murder. It should come as no real shock to any of us that women could be guilty of killing their own children! In a sense, this is just a continuation of the notion that life has no intrinsic value. It was no worse than a late-term abortion, was it? Our society has become numb to the loss of a child because of abortion, and with it we have lost the sense of the sanctity of life itself! One of my favorite old hymns is about how His Eye is on the Sparrow. Even the lowliest of birds is precious to our Creator! And yet, the gospels tell us that we are more valuable than sparrows! Luk_12:6 Are not five sparrows sold for two farthings, and not one of them is forgotten before God? Mat_10:31 Fear ye not therefore, ye are of more value than many sparrows. Luk_12:7 But even the very hairs of your head are all numbered. Fear not therefore: ye are of more value than many sparrows. Do we esteem Him so lightly that we believe we ourselves have the power of choice over life and death? Pro 19:23 The fear of Jehovah tendeth to life; And he that hath it shall abide satisfied; He shall not be visited with evil. You should know that YHVH is all knowing. Every thought or action of all mankind is pre-known… so nothing we do takes Him by surprise. We could discuss whether we have FREE WILL or if because He knows the end from the beginning means that we have NO CHOICES to make. In my understanding we have always had ‘freedom of choice.’ He didn’t create us to be robots; but we are created to be His Children. I used the term Confounded, as in to Perplex or Amaze; synonymous with Baffle, Frustrate. YHVH may not have been ‘surprised,’ but the scriptures indicate that child sacrifice conducted by His children (who should know better, since they should know His character) never entered His mind. The plain meaning seems to be that it was the last thing He would ever want to happen, and he was especially Amazed and Frustrated, that His children couldn’t see how terrible this practice was. He is making it clear that this behavior is totally outside of HIS Heart. It must have grieved Him that his children could make such a choice! I’m not suggesting that He doesn’t ‘know’ all, but that in spite of everything His children can disappoint Him. We can still ‘surprise’ Him in the sense that we cannot understand fundamental truths of right and wrong. Anyone who would embrace child sacrifice is so far away from the Heart of YHVH that it must baffle Him. He offers Love and Peace and eternal life, and His children who should know this still run after evil, hate and death. A timely article as there is a video out by a ‘family planning’ counselor that documented her wonderful abortion experience. She did note her wonder how she was able to create life. I fear that we all will have some explaining to do for our silence.